Liverpool have cruised back to the top of the English Premier League as resurgent Manchester United joined them in the top four. 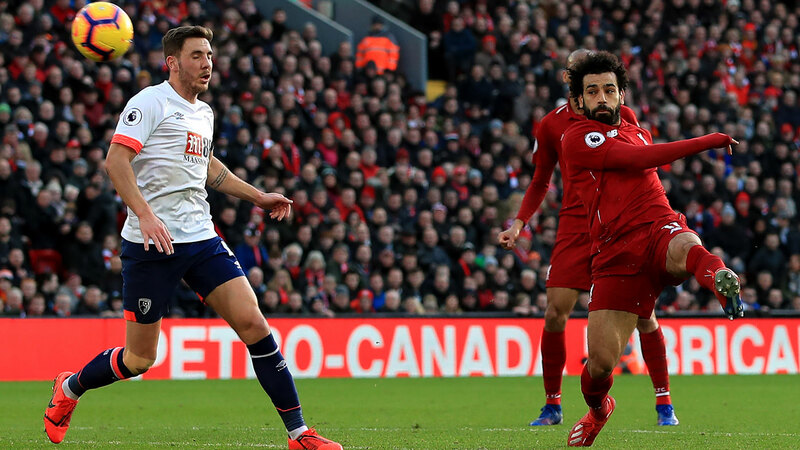 Liverpool beat Bournemouth 3-0 on Saturday to go three points clear of holders Manchester City, while United's 3-0 win at Fulham lifted them above Chelsea. "I thought our performance was pretty good," Liverpool's James Milner said. "Some of the play was mesmerising, we could have scored more." Sadio Mane, Georginio Wijnaldum and Mohamed Salah scored for Liverpool, who dropped behind City on goal difference last week after two straight draws. City can climb back above them by beating Chelsea on Sunday, though they will have played one game more. "We managed the game well which you have to do away from home and we played some fantastic football," said Solskjaer, whose team sit in the Champions League places for the first time since the season's opening weekend. Fulham remain second-bottom on the table, seven points from safety. Cardiff are out of the relegation places after Kenneth Zohore's 93rd-minute goal gave them a dramatic 2-1 win at Southampton. It was Cardiff's first game since the body of striker Emiliano Sala was recovered this week from the wreckage of a plane that went down in the English Channel. Cardiff's win sent Burnley into the bottom three, but it was a short stay as Chris Wood scored twice in a 3-1 win at Mathew Ryan's Brighton in the day's final match. It pulled the Clarets level with Brighton on 27 points, three more than Southampton, who slipped into the relegation places. Goals from Alex Iwobi and Alexandre Lacazette gave Arsenal a 2-1 win at Aaron Mooy's Huddersfield, the bottom side. Arsenal are level on points with fifth-placed Chelsea, while Huddersfield remain 13 points from safety following their 12th loss in 13 games. Andre Gray's score gave Watford a 1-0 win over Everton and Wilfried Zaha's goal earned Crystal Palace a 1-1 draw with West Ham, who led through Mark Noble's penalty.